Many people have heard about the connection between heart disease and periodontal (gum) disease. Over the past decade, numerous organizations in medicine and dentistry have discussed the link and various correlations between bacteria in the oral cavity and infections that contribute to cardiovascular disease and diabetes. Research also suggests that there could be a link to Alzheimer’s disease and sleep apnea. Recent studies indicate contributing correlations with asthma, allergies, bruxism (nightly tooth grinding), and even poor sleep and learning habits in children. It’s true! Here is some new and very interesting information regarding dental health that may give us something to think about with respect to our kids… and maybe even ourselves. 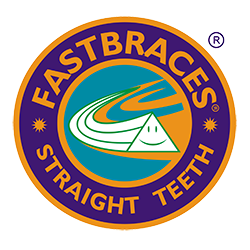 For years, the traditional orthodontic (braces) treatment for kids with crowded teeth was extraction of the four bicuspids (teeth behind the canines) and then retracting the teeth backward. This process often resulted in many children suffering from collapsed midfaces as they grew older, contributing to the development of sleep apnea. Why? Because retracting the teeth backward reduces the airway’s volume capacity, often resulting in troubled breathing at night. Impacted individuals usually snore, are restless sleepers, grind their teeth, and drift in and out of critically important REM sleep. Some even develop gastric reflux issues. Current research has revealed that children that grind their teeth at night suffer from restless, unfulfilled sleep patterns, many times leading to a lack of concentration and poor performance in school. There can be numerous other root causes for sleep disruption. Many kids today have undiagnosed and undetected food and dairy allergies, which can lead to the constriction of a child’s airway, resulting in troubled breathing and the various other symptoms previously mentioned. In fact in many cases, medications are prescribed by pediatricians to treat the various conditions that surface. So, where does one turn? A good first step could be to consult one’s dentist about these problems. Unfortunately, some dentists are unable to recognize the probable root causes of the symptoms exhibited. Seeing an ears, nose and throat specialist, especially one working with a myofunctional therapist, can help provide answers and solutions to a child’s recurring issues. Myofunctional therapists are trained to work with both children and adults. They retain and rehabilitate individuals in key functional areas, such as proper breathing, swallowing, word formation and speech habits. Allergists can also provide great assistance as well. Finding and working with a qualified orthodontist that utilizes the more effective technique of enhancing airway space by oral arch expansion, rather than one that still uses the “old school” extraction and retraction method, can prove to be very beneficial. In light of current research and the information available, extracting and retracting teeth to make a crowded smile look better is not the best treatment option. It very well could result in a lifetime of problems! Life is tough enough, and certainly just paying attention to and staying on top of a child’s dental hygiene and proper oral health is hard enough. Even so, parents and caregivers still must be vigilant and mindful of potential oral and dental issues that could arise. It is important to consult a dentist or orthodontist with regard to proper oral and dental hygiene and the safest and most effective treatment options. The friendly and very capable staff at the Children’s Dental Group of South Carolina, located at 7210 K Broad River Road, in Irmo, stands eager and ready to help individuals and families in need of assistance.